The horde of adventures and supplements from 40 years of Dungeons and Dragons development gives the modern gamer a trove of fantastic resources. The B-Series of modules for Basic Dungeons and Dragons offers a great example of adventures within the franchise old-school players still remember fondly. For many, this was a golden age of Dungeons and Dragons, and it is not hard to see why. The B-Series of modules was first published in 1979 with the release of B1: In Search of the Unknown. The series itself would consist of 12 different modules, with the last being B12: Queen’s Harvest, which was published in 1989. 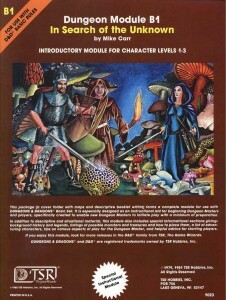 This series of modules would focus on a series of introductory modules that were designed for use with Basic Dungeons and Dragons rules system. Initially, the series would be rather generic, and feature the core Basic theme of dungeons, but later modules in the series would play with this established formula, and be placed within the iconic Known World setting of Dungeons and Dragons. When B1: In Search of the Unknown (Mike Carr) was published in 1979, the decision to split Dungeons and Dragons into two separate systems had only recently been taken, and the Basic Dungeons and Dragons rules were considered to be an introductory system that could lead new players on to either D&D or AD&D. 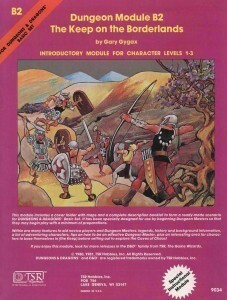 When the Basic Dungeons and Dragons (B/X) rulebooks were released in 1981, module B1 would be bundled with it as an introductory module. Module B2: Keep on the Borderlands (Gary Gygax) was printed in 1981, the same year that the Basic Dungeons and Dragons (B/X) were released. 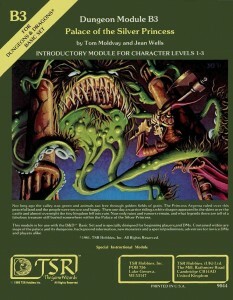 Following its release, this module would become bundled with the basic rules boxed set, replacing module B1. 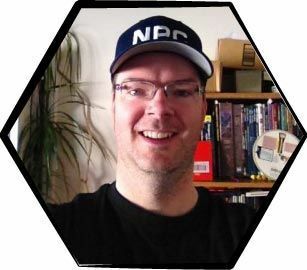 This decision would make Keep on the Borderlands the most published D&D module of all time, and thus cause it to be one of the most famous adventures within the entire Dungeons and Dragons franchise. The initial printing was the first TSR product written solely by a woman (Jean Wells). Following the rewrite, it would become the first module specifically written for the Basic Dungeons and Dragons (B/X) rules. Module B1: In Search of the Unknown is a basic dungeon adventure set in the Caverns of Quasqueton. One unique feature about the module is the GM needed to stock the dungeon before play by using a list of pre-generated creatures and treasures presented in the back of the module. This approach would be used a few times before being abandoned in favour of more complete adventures that didn’t require this initial prep work. This is something that would be toyed with much later in 4e, with the idea of treasure packets, allowing GMs to tailor the rewards given out in the adventure to their party. Compared to randomly stocking a dungeon, this approach allows for a fairly even mix of creatures and treasures. In general, Basic D&D would have about 1/3rd of the rooms in a dungeon contain monsters. Thus, if you had 30 rooms in a dungeon, about 10 would contain monsters. The GM just had to create 10 monster encounters of the appropriate level. Treasure was easy to define in this method too. Roughly 50% of the monsters had treasure, so you could work out treasures for the monsters, and divide this by half. This would create a pile of treasure from the monsters. About 10% of the rooms in the dungeon would contain unguarded treasure, so in a 30 room dungeon you would have approximately 3 unguarded treasures. You could then combine these to determine the total treasure in the dungeon. Once done, you could easily distribute these treasures into discrete packets of treasure, which you can then place in the dungeon. This approach is ideal for quickly stocking and restocking dungeons. After all, the general features about the dungeon rarely change between editions – so an D&D dungeon is still as usable in D&D Next. Just use the principles for stocking the dungeon with whatever system you prefer, and you can give new life to even the most basic of dungeon designs. Module B2: The Keep on the Borderlands is one of the most famous modules of old school gamers. Interestingly enough, the adventure actually takes place in a series of caves known as the Caves of Chaos. These caves are home to many humanoids, and is a who’s who of enemies the party will face in Dungeons and Dragons. The Keep in the Borderlands is actually the name of the home base the party would use to explore the Caves of Chaos and the surrounding Borderlands. A significant part of the module is given over to the description of the Keep, including its inhabitants who provide the many services and rumours for the party to follow. This was significant for the time, since this is pretty much the first time a home base was actually given any consideration or detail if it wasn’t the location of an adventuring site. It helped establish the idea that Dungeons and Dragons could be about more than just dungeons, and the home base could be an important area for an adventure and not just some abstraction between expeditions. It encouraged players to get to know the inhabitants, and provided a wealth of ideas and rules for how services might be run. All too often, the players and the GM neglect the adventure potential that can be found in the home base, and how the conditions within the home base can drastically affect the tone and storyline of the adventure. The home base can be much more than just a place to rest and restock between adventures. If you give the home base the same treatment and love you give the dungeon or another adventuring site, it too can become a thrilling part of the adventure. The PCs are usually safe in their home base, but it doesn’t hurt to shake them up a bit. Whether it’s a domestic disturbance in the market, a suspicious stranger in the tavern, or a monster attack on the town, there are many opportunities for adventure before the players even reach the dungeon. Module B3: Palace of the Silver Princess is yet another introductory dungeon adventure. This time, the party must explore the palace of Princess Argent to rescue her and free the realm from a powerful curse. It is traditional fare, yet there’s still inspiration to be found here. As another introductory adventure, the module includes a programmed adventure, which pretty much works like an adventure game book. The decisions open to the PCs are explicitly stated, and this helps novice players get to grips with the idea of playing Dungeons and Dragons. The programmed adventure section covers a single challenge – getting access to the castle through the inner portcullis. One interesting point about the adventure is it plays to the moral dilemmas caused by alignment, and this is really played up during the adventure. The dungeon is not a ruin or enemy stronghold. Instead, it is the castle of the reigning princess that has been subject to a magical curse. Thus, while there is treasure aplenty inside, the PCs will face the moral quandary of whether or not they will loot the castle of their princess for their own gain, especially since that gain equates to experience. Sadly, because the castle is sealed off by magic once the PCs enter, the moral aspects of the adventure aren’t quite as profound as they could have been, because there is no way for the party to get any of the treasures in the palace out before rescuing the princess. However, the princess will reward them differently depending upon whether the party looted some of the princesses treasures. That said, it is still quite interesting to see this idea at play. The alignment axis in D&D is the ethical axis of Law vs. Chaos, and Chaos doesn’t automatically mean evil. Thus, while a Lawful character might have qualms about looting from the princess, Neutral and Chaotic characters might not have the same concerns. Restocking the Dungeon – Recycling dungeons can be easy and useful. Many dungeon features have not changed between editions, even if the rules have. Home Base Adventures – Don’t forget the potential for adventure that comes from detailing the party’s home base. This can shake up complacent players and flesh out your campaign world better. Alignment Conflicts – Consider how different alignments (and, in D&D Next, personalities, ideals, flaws, and bonds) could react to different encounters. It can be interesting to design encounters that play up to these issues, and in D&D Next, it is an ideal way to control when PCs get inspiration, which can be useful for later in the adventure. At first glance, it may seem like a pointless task to look back at the modules for earlier editions of Dungeons and Dragons and see what can be gleaned from them. However, the majority of the content in such modules is still relevant for today’s game. The idea of stocking and restocking dungeons, using the home base as a source of adventure, and making alignment an interesting part of your games might be commonplace in today’s games, but this means such ideas are often taken for granted, or easily overlooked, despite being simple additions that dramatically increase what you get out of your games. Remember, you might not be able to teach an old dog new tricks, but you can certainly teach a new dog some old ones!